Placentia is a beautiful coastal historic town located on the Avalon Peninsula, on a route called the Cape Shore Tour. Placentia is conveniently close to the Argentia ferry terminal, one of the main links between Nova Scotia and Newfoundland, and only one-and-a-half-hour drive from the airport at St. Johns. The cost of your room at Rosedale Manor includes a full gourmet breakfast (many choices to choose from) prepared by Philip at Philip's Cafe on the waterfront, and only minutes from Rosedale Manor. 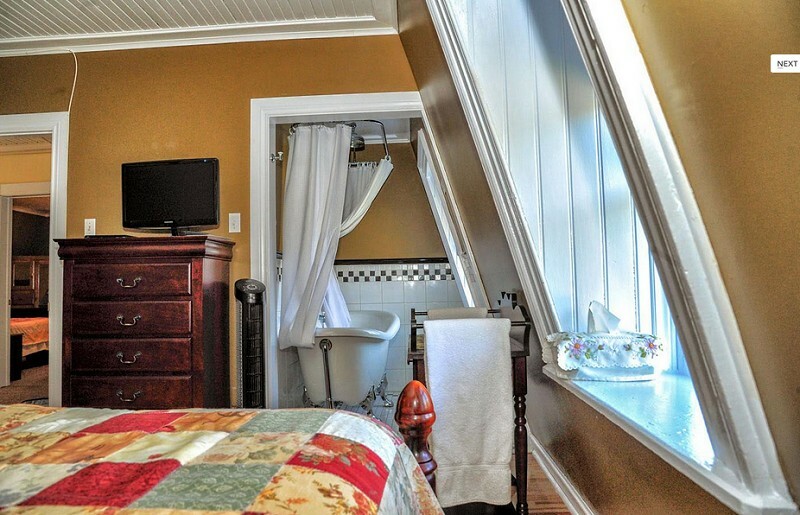 This room provides a queen bed, ocean views, private en-suite bathroom with old fashioned tub and rain shower. This room provides a queen sized bed, ocean view, and private en-suite bathroom with walk-in shower. This room provides a queen sized bed, private en-suite toilet and sink. Shower room is shared with the Bakeapple room. This room provides twin beds, private en-suite toilet and sink. Shower room is shared with the Partidgeberry room. This room is on the main floor. 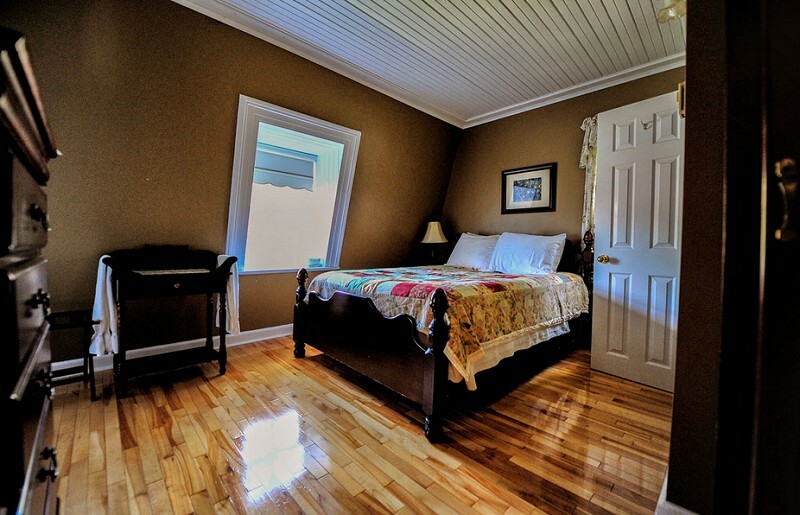 Provides a queen bed and a private en-suite bathroom with walk-in shower. This room is wheelchair accessible. This room provides an x-long double bed, private en-suite bathroom with walk-in shower. This room is wheelchair accessible. Your stay at Rosedale includes a full gourmet breakfast at the Cafe. Philip's Cafe is open at 7:30am for early risers. See the Breakfast page for more information. 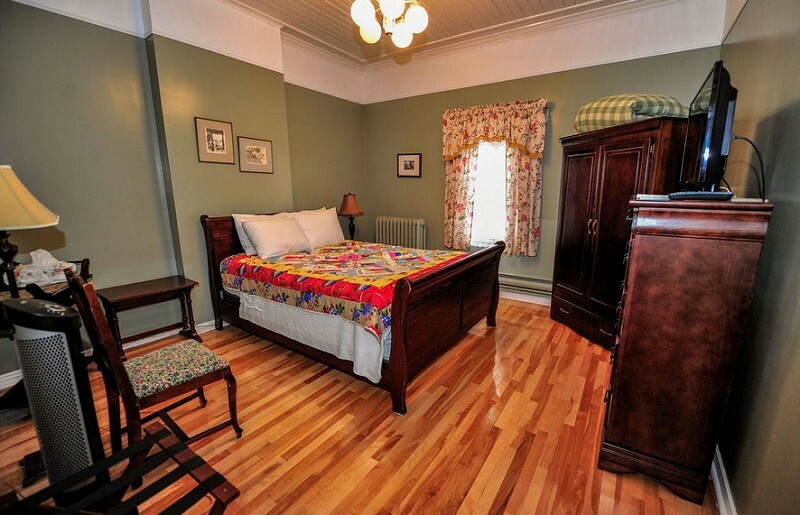 All the rooms have local artwork and high quality furniture, hand crafted right here in Newfoundland. 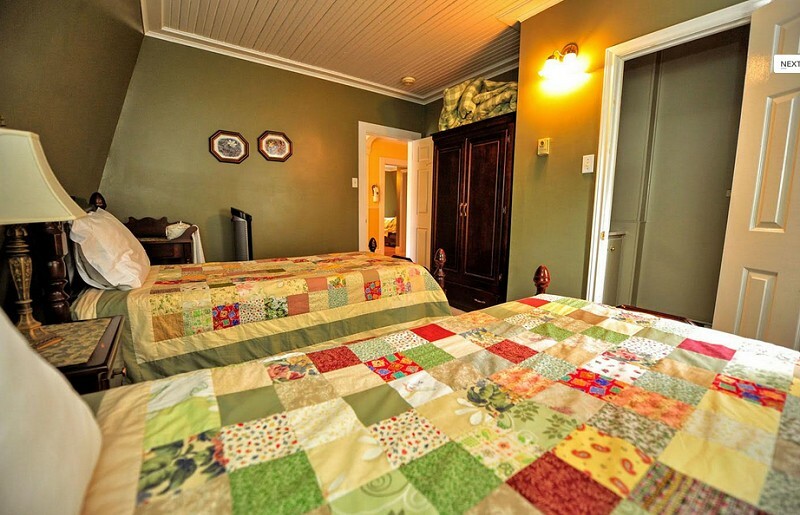 Have a restful sleep in our comfortable beds, with 100% cotton sheets, cotton blankets and locally handcrafted quilts. Expect the fresh smell of sheets dried in the wind on the line. Opening windows, large cooling fans and separate heat controls. Bedside tables with reading lamps and clock radios. 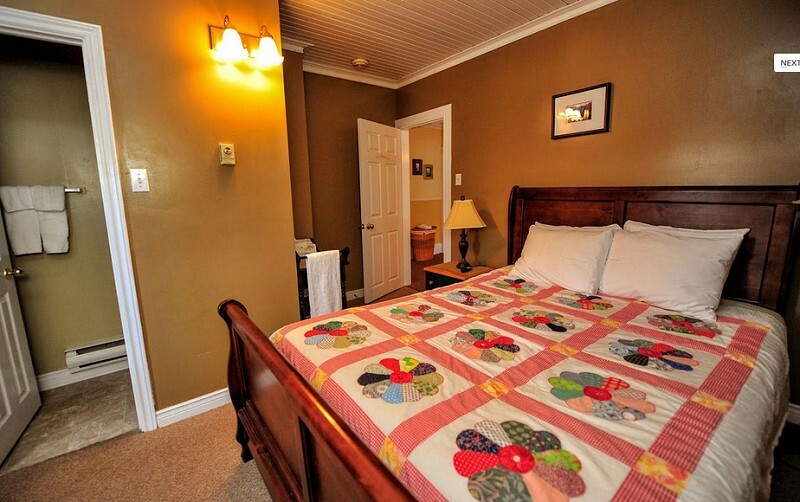 We offer free wireless internet access throughout Rosedale Manor. There is satellite television in all rooms except the Bakeapple Room. All cleaning products are non-toxic and unscented. All rooms can be locked. Personal laundry service is available. The comfortable waterfront guest sitting room offers ocean views, has a fireplace, and is a wonderful place to sit in the evenings for a visit. It also has a television and library of local books. For those wanting to call home, the phone provides unlimited long distance for Canada and US. 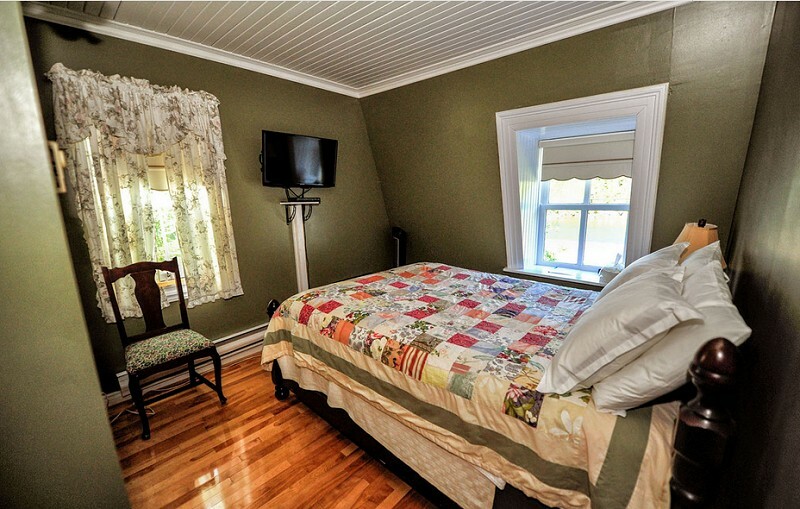 Please visit Rosedale Manor B&B Inn Website.